Shares of Tesla had reached to worst day in two years following the New York Times piece and the tweet posted by CEO of Tesla, Elon Musk about taking Tesla Private at $420 and funding secured. Its share dropped 8.9 lower on Friday, the lowest in two years. Elon Reeve Musk was born to Maye Musk and Errol Musk on June 28, 1971, in Pretoria, South Africa. Musk migrated from South Africa to Canada and then to the USA. He became an American citizen at the age of 31. Musk taught himself computer programming at the age of 12 creating a BASIC-based video game, Blaster and sold its code for approximately $500 to a magazine called PC and Office Technology. Elon completed Economics degree from Wharton School, Physics degree from College of Arts and Sciences, and dropped out of Stanford University while studying Ph.D. in applied Physics and material sciences. His co-founded web software company Zip2 was acquired by Compaq for $340 million in 1999. His online bank, X.com merged with Confinity to become PayPal was bought by eBay for $1.5 billion in 2002. Musk is a co-founder and Current CEO of Tesla, Inc., an electric vehicle and solar panel manufacturer. Musk even founded SpaceX, SolarCity, The Boring Company and co-founded OpeanAI. Musk has a vision of developing Hyperloop, Musk electric jet. Musk also aims to establish a human colony on Mars to reduce the risk of human extinction through his company SpaceX. Musk once joked about his company Tesla on the verge of bankrupt and caused 4.78% stock drop. Musk has 5 children, two twins and three triplets boys. Well, the onscreen character of Iron Man was inspired by Musk and has visions to built something similar. Musk has guest appeared on TV sitcoms like The Big Bang Theory and The Simpsons for his humorous profile. 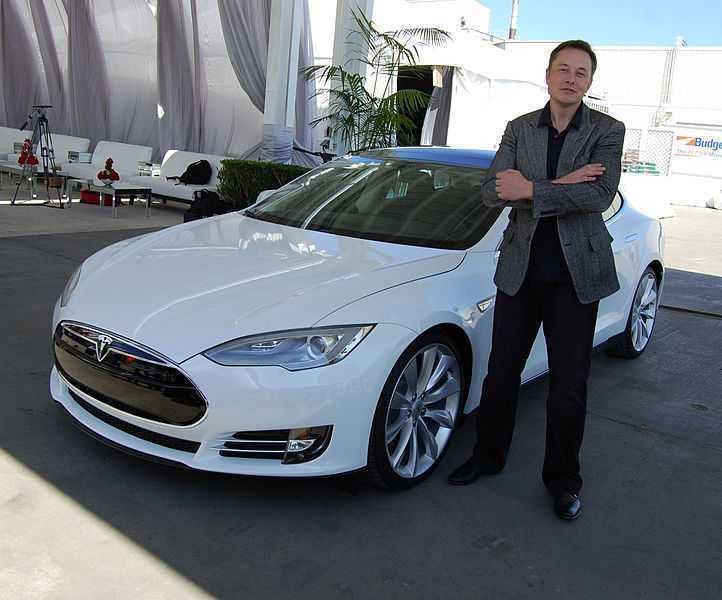 His Tesla Model S received the highest rating ever given to a vehicle from National Highway Safety Administration. Musk couldn't find Space missiles at a suitable price, so he started a company of his own to build rockets. Musk and many other billionaires along with Bill Gates and Mark Zuckerberg have pledged to donate billions to the world.